Adam Liptak likes to torment law professors by regularly quoting judges who do not read law review articles. However, a more rigorous test of Liptak’s hypothesis that legal scholarship has no social value is called for, and so below I report some early results from a test that uses event-study methodology familiar from securities class action litigation. My starting assumption is that if legal scholarship has social value, the publication of any major piece of legal scholarship should be visible in stock market returns. I start with one of the most prominent law books of all–Ronald Dworkin’s Law’s Empire, which was published on January 1, 1986. 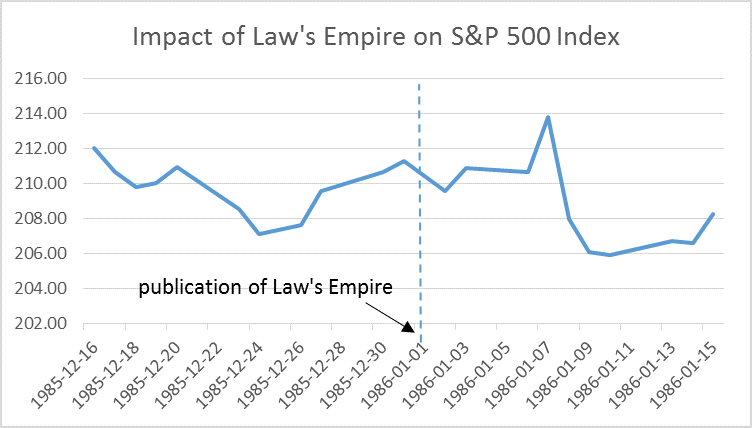 Alas, there is no evidence that Law’s Empire had a favorable impact on stock market returns. 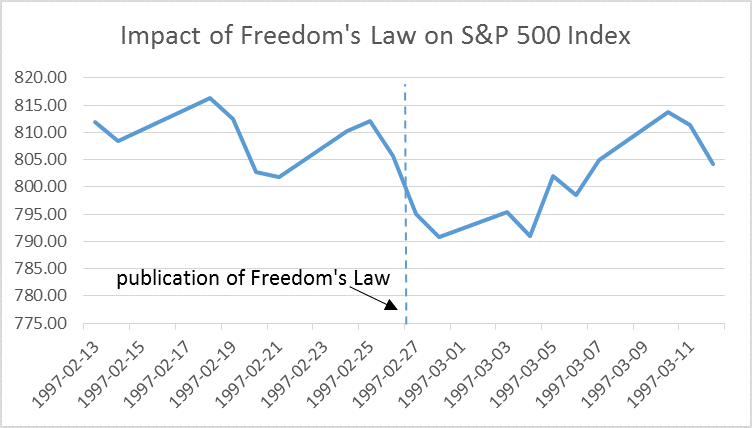 Thinking that this was perhaps anomalous, I checked Freedom’s Law, which was published on February 27, 1997. Again, nothing. A possible explanation is that Dworkin was a lefty, and so his scholarship would most likely have a negative impact on the economy. 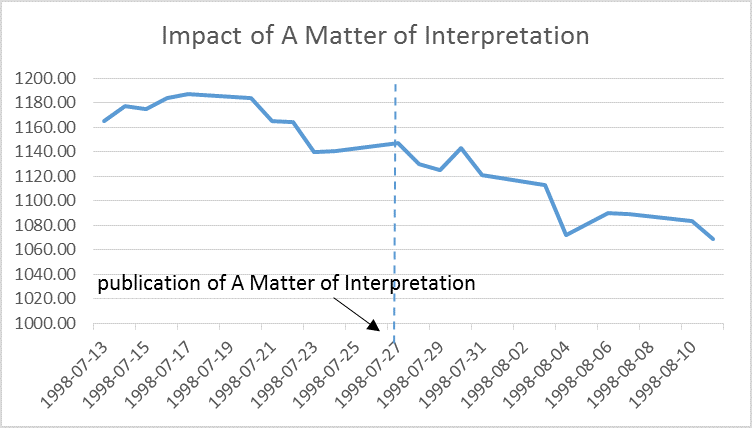 Accordingly, I also checked the stock-market impact of Antonin Scalia’s A Matter of Interpretation. Another discouraging result. Yet I take some comfort in the thought that I have not fully controlled for endogeneity. Maybe, for example, Dworkin timed the release of his books to coincide with declines in the stock market, when a despairing public would seek refuge in philosophical contemplation. Or maybe stock prices incorporated the impact of Scalia at the time of his birth in 1936, as the Efficient Capital Market Hypothesis implies. I believe that these possibilities should be investigated in future research conducted by others.